The IES ISS (Indian Economic Service Indian Statistical Service) is an administrative inter-ministerial Group A Central Services of the executive branch of the government of India. 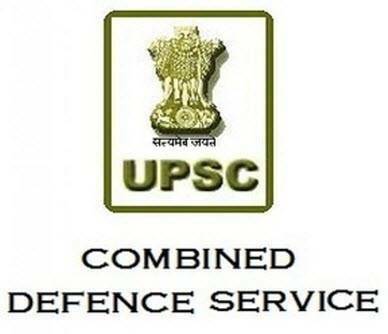 IES ISS (and Indian Statistical Service) is conducted by UPSC (Union Public Service Commission) every year. It is conducted once a year. candidates clearing this exam are recruited to Indian Economic Service and Indian Statistical Service of government of India. Nationality: Indian and other country people include Nepal and Bhutan and also the migrants of Burma, East African Countries, Pakistan are also eligible. The candidate should have graduation degree with Mathematical Statistics/ Statistics/Applied Statistics or a Master’s degree in Mathematical Statistics/ Statistics/Applied Statistics from a recognized university or its equivalent for ISS. The candidate should have postgraduate degree with Economics/ Business Economics/Applied Economics/ Econometric from a recognized university or its equivalent for IES . Age Limit: For General Category , should have completed 21 years and the maximum age limit is 30 years. For OBC , should have completed 21 years and the maximum age limit is 33 years. For SC/ST , should have completed 21 years and the maximum age limit is 35 years. Syllabus for General Studies: Current Events -National & International. Indian Geography. Indian History. Indian Polity. Indian Constitution. Polity & Governance. Environmental Studies. Science & Technology etc. Syllabus for General English: Passages. Precise Writing. Essays. Comprehension. Antonyms. Synonyms. Letter Writing etc. Syllabus for General Economics I: Theory of Consumer’s Demand. Theory of Production. Welfare Economics. Theory of Value. Theory of Distribution. Quantitative Methods in Economics. Syllabus for General Economics II: Economic Thought. The Concept of National Income and Social Accounting. Theory of Employment, Money & Finance. Financial and Capital Market. Economic growth and development. International Economics. Balance of Payments. Global Institutions. Syllabus for General Economics III: Public Finance. Environmental Economics. Industrial Economics. State, market, and planning. Syllabus for Indian Economics: History of development & Planning. Federal Finance. Budgeting. Poverty, unemployment, and Human Development. Agriculture. Strategy of Industrial development. Labour. Foreign Trade Money and Banking. Inflation. Syllabus for General Studies: Current Events -National & International. Indian Geography. Indian History. Indian Polity. Indian Constitution. Polity & Governance. Environmental Studies. Science & Technology etc. Syllabus for General English: Passages. Precise Writing. Essays. Comprehension. Antonyms. Synonyms. Letter Writing etc. Syllabus for Statistics-I: Probability. Statistical Methods. Numerical Analysis. Computer Application. Data Processing etc. Syllabus for Statistics-II: Linear Models. Statistical Inference. Hypothesis Testing. Official Statistics. Sector Wise Statistics. Population Census. Socio-Economic Indicators etc. Syllabus for Statistics-III Sampling Techniques. Estimation of Population. Econometrics. Applied Statistics. Time Series Analysis. Fourier Transform etc. Syllabus for Statistics-IV Operations Research and Reliability. Branch and Bound Method. PERT and CPM. Exponential Distributions. Demography and Vital Statistics. Survival Analysis and Clinical Trial. Data Management. Quality Control. Multivariate Analysis. Design and Analysis of Experiments. Computing with C and R etc. Application Form: To complete the application and get the online notification, aspirants need to visit “www.upsconline.nic.in” Look for the exam notifications section. Get the details and start applying. Give your academic and professional details and choose the preferable exam location. Save the form and get it printed. Keep a copy for future use. Exam Fees Detail: Unreserved category (General / OBC): INR 200/- Reserved category (SC / ST / PH/ Female): Nil/- Application Fees deposit through Debit Card/ Net Banking/ Credit Card or E-Challan.